BART Police arrested a man for Bicycle Theft, Possession of a Burglary Tools and Probation Violation late last week at the downtown Concord BART station. An officer arrested a male subject for stealing a men’s Trek brand bike from the concourse area racks after seeing him cut its cable lock; a sergeant approved the arrest. Initially, the subject claimed ownership of the bike, but when interviewed by a detective he claimed to have purchased the bike two weeks prior while knowing it was stolen. The bike’s legitimate owner eventually arrived at the station and filed a formal police report. A wants/warrants check of the subject revealed he was on four (4) separate and active narcotics related probations, through Contra Costa County, which included a clause allowing for the search of his residence. Based upon the circumstances of the case and the subject’s probationary search clause, officers attempted to search the subject’s residence in the city of Walnut Creek. This attempt, however, ended with negative results. The subject was booked into the county jail for petty theft, possessing a burglary tool and for violating the terms of his probation. CLAYCORD NOTE: The man’s identity was not released by BART Police. Probation violation????? It’s hard for human garbage to comprehend what the rules are. I hope his residence looks like a hurricane hit it. Dirt bag. 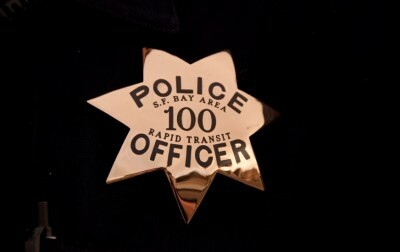 It seems the Bart police are really cleaning up crime, and making it safe for all of us. We need work crews. Take these morons who are on probation and require that they have a 40 hour a week job. Make them responsible for the cost of their original incarceration. If they can’t find a job put them on a work crew picking up garbage for 40 hours a week. If they can only find part-time work, say 20 hours a week, then they are required to make up the difference of the 20 hours (or however many hours to total 40) with a work crew. Keep their pathetic butts working and most won’t have time for crime. Half way there. They knocked off that silly Sgt approval stuff. BARTs position seems to be you have to ask for the name or we don’t give it out. It’s a couple clicks to email the Directors and let them know what you think about hiding names from the public in press releases. Wonder why they do that and who they are protecting? Are they being sensitive to a particular group? The Concord BART station seems to be a vortex of human scum. I don’t know if BART PD are making an effort to clean up the station or if their activities are now being publicized. Whatever the case, glad to see that one more has been caught. So what about the twerp that knowingly bought the stolen bike? Hopefully anyone arrested at a BART station for theft also has it checked to determine if they have access to a BART locker. Wow, I totally misread that article for having two criminals in it – I’m surprised he didn’t say he was holding the bike for his friend. He’ll be back out in a day or two, sadly. Was he on probation as a “non-violent” offender and released by Proposition 47? So for those of you that are keeping score at home, this guy lives in WC and probably took BART to Concord, and then tried to steal a bike at the station. Why would he commute to Concord to steal a bike? At least he was arrested. Too much crime at BART. As I dropped off someone at the Concord station this am, saw a really big red faced unhealthy looking dude sleeping it off on the bench in front of the parking garage, then as my passenger got out 2 people jumped the turnstyle coming out of the station. Of course no BART personnel in sight. Typical. Your idea makes way too much sense . Never happen here. Our politicians watched Cool Hand Luke and can’t stand the idea of making a criminal actually work. I want to know who they are and I want their picture like the police departments provide. Who do I complain to? I’m glad the sergeant is back approving arrests, he was absent the last couple of times and I missed him. I agree with you 100%. Put them to work and make them REALLY pay for their crimes. But, unfortunately, here in California criminals have more rights than honest citizens. We can thank POS politicians and groups like the anti-American Civil Liberties Union, who are consistently the criminals best friends. Where is a Sgt mentioned? I am so sick and tired of all of these Walnut Creek criminals coming into Concord to commit their crimes!!! @ Yo Beetle #23, Read the article again, 2nd paragraph, line two. It’s almost as bad as Concord criminals coming into Walnut Creek to commit their crimes. One of the cool things about Claycord is the Mayor (All praise his name) does not care about political correctness. The Contra Costs Times bends over not to identify minority criminals. If the crooks picture is available , the Mayor prints it. Comes now BART. Their position usually is that want to know who was arrested ,you have to request the information or you can go to BART PD and inspect the records. A few people asked their elected Directors to release photos and names on press releases people might be a bit safer. We elect the Directors to represent us not special interest groups. # 18 — Who did you vote for? Do you remember a name on a past ballot? ANY name? Try reading the mayor’s post or see my post #16. A product of the democratic process. @ Silva #30, It’s the same in Italian too.